Clearwire and Cisco have announced an alliance designed to ‘enhance and expand’ mobile WiMAX services throughout the US. Under the terms of the agreement, Clearwire has selected Cisco as its national IP NGN core infrastructure provider and to bring end-user devices to market. Clearwire is now in the process of the testing and certification of Cisco’s IP NGN architecture. This includes Cisco 7600 Series Internet routers, Cisco ONS 15454 and Cisco ONS 15310 platforms, Cisco ASA Firewalls, and the Cisco Service and Application Module for IP (SAMI) Home Agent. Cisco’s WiMAX devices on the Clearwire network will be targeted at the consumer, small office or home office (SoHo), and small- and medium-sized business (SMB) markets. Cisco says it aims to introduce its first mobile WiMAX device later this year. Earlier this year, Clearwire and Cisco announced their involvement in forming the WiMAX Innovation Network for developers, which will initially cover more than 20 square miles in Silicon Valley. Service is expected to be available to developers by late summer of this year, giving them a head start on the Bay Area’s commercial service launch, which is planned for 2010. Service will be provided free to a limited number of qualified developers for one year. 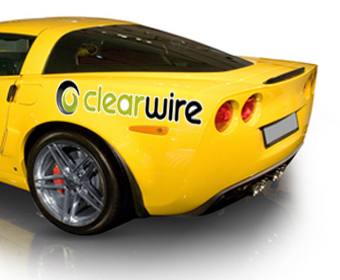 Clearwire currently provides mobile WiMAX services in Baltimore, Maryland, and Portland, Oregon. It plans to extend service coverage to more than 80 markets across the US by the end of 2010 and achieve a population coverage of 120 million.